The word entrepreneur is one of those words that are difficult to say let alone spell, and the meaning… well, most of us could take a guess at it. Yet, to make sure we are all on the same page an entrepreneur is defined as a person who organizes and operates a business taking financial risk to do so. In recent years, there has been an increasing trend for homeschoolers to become savvy entrepreneurs. So, what’s the big deal? Why are so many homeschoolers following this path? Let’s find out. In the past several years, the number of entrepreneurial homeschoolers has steadily grown. In part, this is due to the fact that the recent recession pushed many people out of corporate America forcing them to use their creative resources to find income. People are looking for alternatives, and homeschoolers who tend to think out of the box anyway are jumping on ingenious ways to create business. Entrepreneurial skills and home school skills run on parallel lines. Each takes a tremendous amount of dedication and hard work, a willingness to think differently, and the ability to make learning entrepreneurial skills a part of the curriculum. With over 2 million homeschoolers in America today the effects of this flexible type of learning and a propensity toward starting their own business just may change the face of America and its future. As most homeschoolers know, the merits of real or authentic learning are invaluable. The best way to teach your children is to use real life experiences. Everything from history to math can be taught this way as well as life changing knowledge based on entrepreneurial skills. Homeschoolers also tend to enjoy being at home. This is by far the biggest benefit in starting a home based business which is also conducive to continuing homeschooling. The entrepreneurial lifestyle gives added flexibility to study as well as the ability to earn needed income. Most often home school entrepreneurs have started a business out of their “strengths.” The business becomes an extension of what they loved to do to begin with. Many home school parents encourage their children to turn a hobby into a business Even some have begun business ventures in an effort to raise money for something in particular. When you use these opportunities to teach your student life skills, it’s vitally important as parents, to keep “hands off.” Allow your homeschooler to learn with the ups and downs, while acting simply as an adviser. Always keep good records of your business transactions, and be careful to check the laws of your state to determine where and when your young person may need a business license and begin to pay taxes. For the most part the early founding fathers of America’s Entrepreneurs were homeschooled. Those such as Thomas Edison whose first teacher called him “addled” caused his parents to remove him from school after just 3 short days. His journey in homeschooling was quite successful, and we all know how his story ends. Yet, today famous homeschoolers look a little different and come in all shapes and sizes from Tim Tebow and Hillary Duff to the founder of Tumblr, David Karp. David left high school at 14 so that he could focus on computers. This eventually led him to design Tumblr and of course to a 1.1 billion dollar deal with Yahoo. Not all homeschoolers are as financially successful, but the spirit of entrepreneurialism is definitely a part of the home school mentality. Getting started as an entrepreneur is not as difficult as you may think. There is a wealth of information easily accessible right at your fingertips. In fact, everything you need to know you can find online through some really great homeschooling resources. Wondering what a homeschool entrepreneur needs to get started? 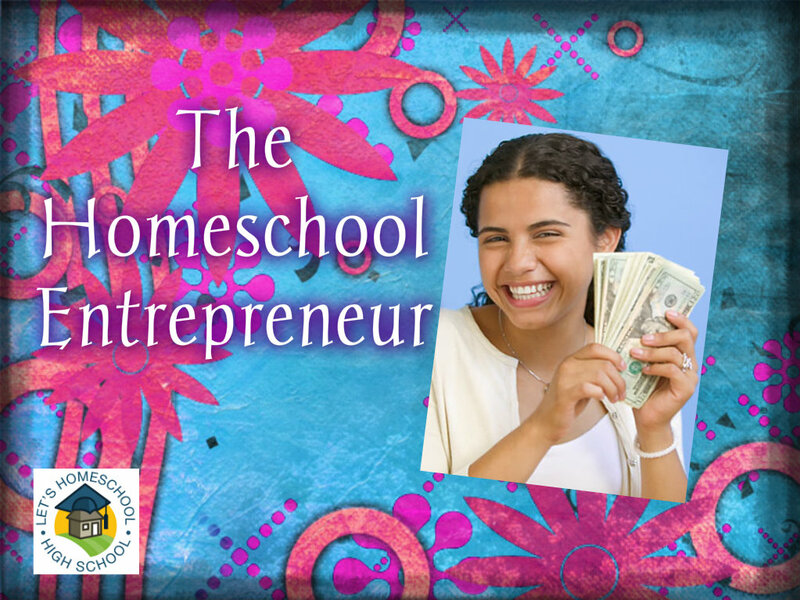 Check out the Homeschool Entrepreneur to get your business going. You could even start by incorporating some financial literacy courses into your homeschool curriculum this fall with classes from NFEC. The U.S. Small Business Association also has free courses designed to help you start a small business. With all of these tools in hand, your success at becoming a homeschool entrepreneur is just waiting for you! Super, super article, Jamie! My daughter is pursuing her own business with the blessing of my husband and myself. We are encouraging her to research her business idea, and we are actually helping her put together supplies to get started. I do believe this is a smart move for her both educationally and financially. I am proud of her dedication and diligence so far. Thanks for the links you supplied. I will check them out.